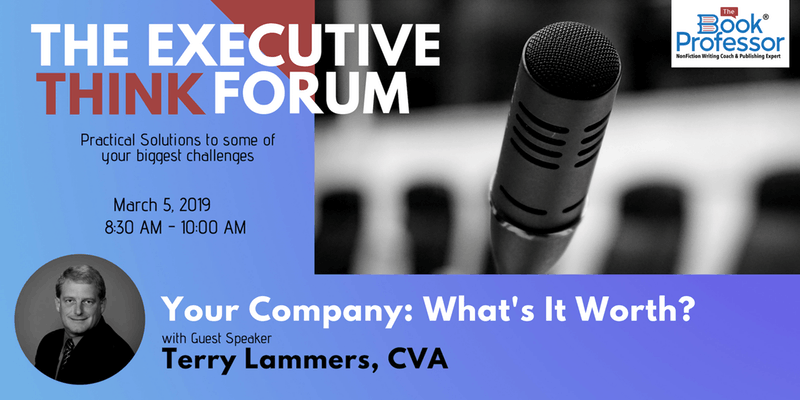 The Executive THINK Forum: Your Business—What’s It Worth? « Step Up, Stand Out, and Up Your Game as a Speaker! If you’re a business owner, you should probably know what your business is worth. And if you’re thinking of retiring in the next several years, you MUST know the value of your business. What key information is really important to look at every day? Why wait until succession time to measure and analyze your business value? Let us help you evaluate the steps you can take to grow your business using tools throughout the life of your business that can help you make better decisions, have less stress, and chart the ideal growth path for your company—as well as get the upper hand in negotiations with buyers and investors. 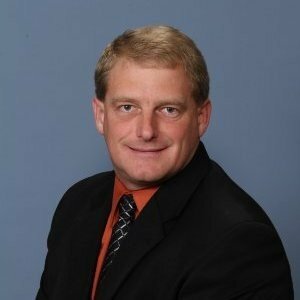 Terry Lammers is President and Co-Owner of Innovative Business Advisors. He earned his designation as a Certified Valuation Analyst (CVA), an accreditation through the National Association of Certified Valuation Analysts (NACVA). Terry also holds a real estate brokers license in Illinois. The Executive THINK Forums are a monthly gathering of high-impact business professionals who want to keep a pulse on the current and changing business environment. These invitation-only Forums are hosted by Nancy Erickson, The Book Professor. Register here for this Executive THINK Forum! The Executive THINK Forums are a monthly gathering of high-impact business professionals who want to keep a pulse on the current and changing business environment. These invitation-only Forums are hosted by Nancy Erickson, The Book Professor.